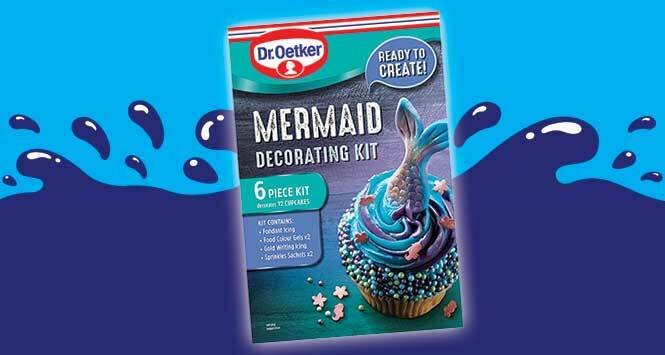 Riding the wave of the latest home baking trend, Dr. Oetker has launched a Mermaid Decorating Kit which will apparently help budding Bake Off contestants create 12 aquatically-themed cupcakes. With an RSP of £4, the 199g six-piece kit includes fondant icing, blue and violet colour gels, gold writing icing, two sprinkle sachets, tail templates, a recipe leaflet and some swim-ple to follow instructions. 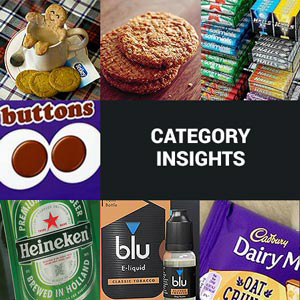 In the fickle world of cake decoration, Dr. Oetker always seems to know what’s cooking; the launch follows such products as its Ultimate Sprinkles range and Unicorn Chips offering. However it appears unicorns are so 2017, as Riccardo Panichi, Head of Marketing for Cake and Dessert at Dr. Oetker UK, explained: “Mermaid-inspired food is one of the biggest trends in home baking this year with consumers taking inspiration from Pinterest and recreating colourful whimsical bakes. The Mermaid Decorating Kit is available to now.